The ultimate dream would be to travel full-time, but having a full-time job means I only have a limited amount of annual leave which leaves me to explore. I recently wrote about what a micro gap is and why you should take one, and as I said if you can’t jet off and explore the world, why not explore your own country? UK travel is incredible from quaint towns to vibrant, bustling cities, there is so much on offer! I’m based in Devon 80% of the time which means I am quite far south, but I’d like to use my weekends more to travel round the UK. 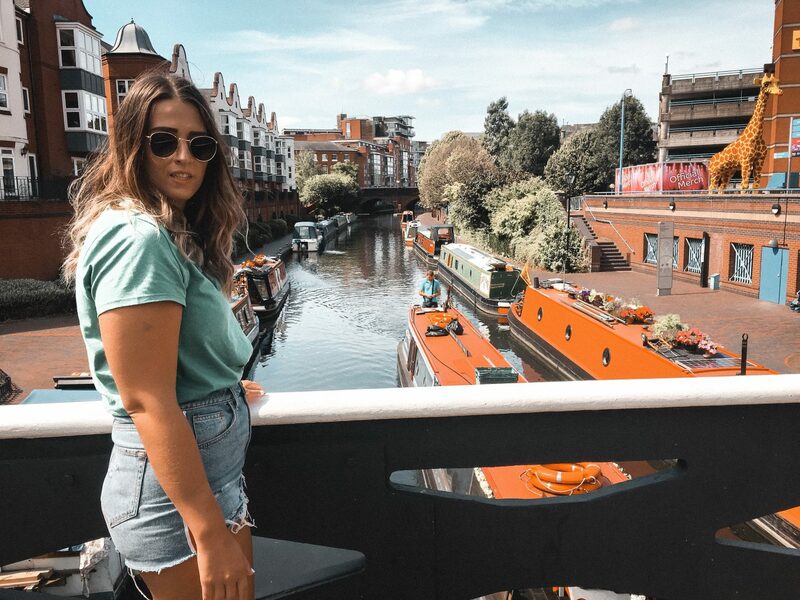 I’ve managed to tick most of these off my list, but a weekend is never enough time to explore the full cities, so here is my roundup of the best places to visit in the UK that aren’t London! Oh Liverpool! I visited for the first time in September 2018 and it did not disappoint, I spent an incredible weekend exploring the city which you can read about here, but there was far too much to fit into a weekend. From cute little cafes throughout the center to the most Instragrammable place in the city, there is no way you can explore everything in just one weekend. I’ve already booked a Liverpool weekend in for the beginning of October, we’re off to see Russell Howard in the M&S Bank Arena and thought we could tie in a few more sites we wanted to see. We’d like to explore the Beatles Museum, Tate Museum, The Cavern Club as well as finally heading to Yard & Coop for some good food! 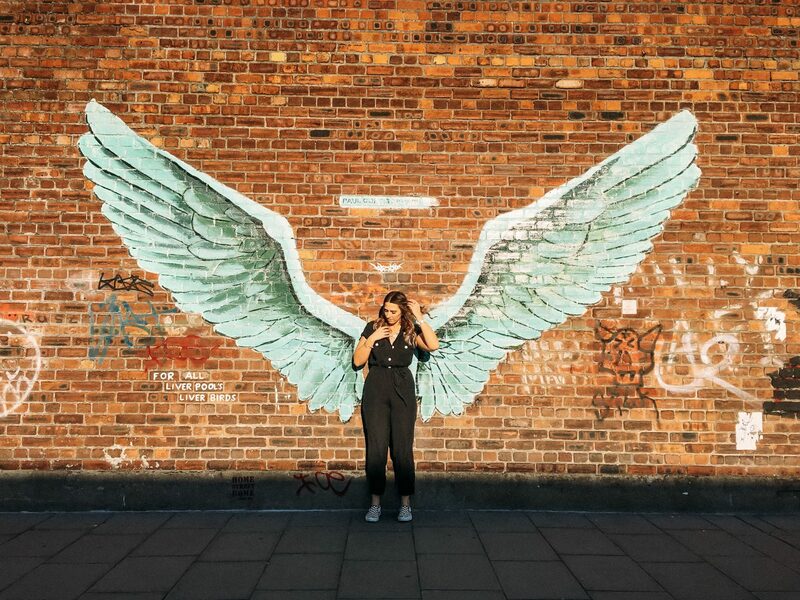 Full of culture, art, museums and food, Manchester is the perfect place for a weekend getaway. I’ve visited Manchester twice, once for the Coronation Street tour with my mum and once over the 2018 Easter weekend and managed to squeeze quite a lot in. Seeing Hairspray at The Opera House, visiting Impossible for some cocktails, enjoying more cocktails and fab food at The Living Room (known for their pornstar martini trees! ), feasting on some proper Italian cuisine at Don Marco’s and wandering round the shops. You can read more about my weekend in Manchester here. Being a dance music lover, I’d love to visit The Warehouse Project and the infamous 20 stories which overlooks Manchester center. If you’re a shopping lover, Trafford Centre is a shopaholics dream. 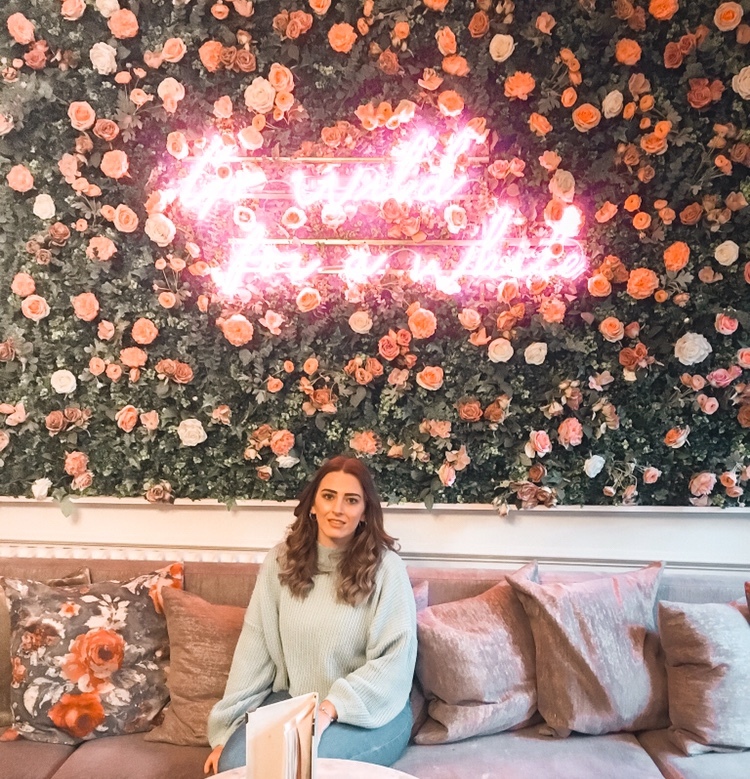 And if you aren’t a big fan of shopping, Manchester is full of incredible places to eat and I do tend to plan 90% of my trips around food, it’s paradise for a foodie lover! The city which will always have my heart! From the range of events such as The Balloon Fiesta, Harbourfest and Love Saves The Day, the views along Hotwells, the Harbourside and Clifton Suspension Bridge to the incredible places to eat such as Hobgoblin, Eat-A-Pitta and Three Brothers. Bristol is an incredible place to visit, I’m lucky enough to have lived there for four years, but I still find new things to explore on my weekends visiting. You can read about how to spend a weekend in Bristol here or why I love Bristol so much here. The place that I grew up and currently reside, it’s such a beautiful place, especially in the Summer. Surrounded by beaches and incredible outdoor spaces, Devon is a dream in the Summer, not so much in the Winter! I’d highly recommend exploring all of the Devon beaches, enjoying a curry on Barricane beach in the summer months sounds like an absolute dream. Tea On The Green is my favourite sweet treat, they change up their cakes every week and every time I go I thoroughly enjoy what’s on offer. You can read about the best things to do in North Devon in the summer here. A stone’s throw away from Devon, I’ve not been to Cornwall enough as I should have. 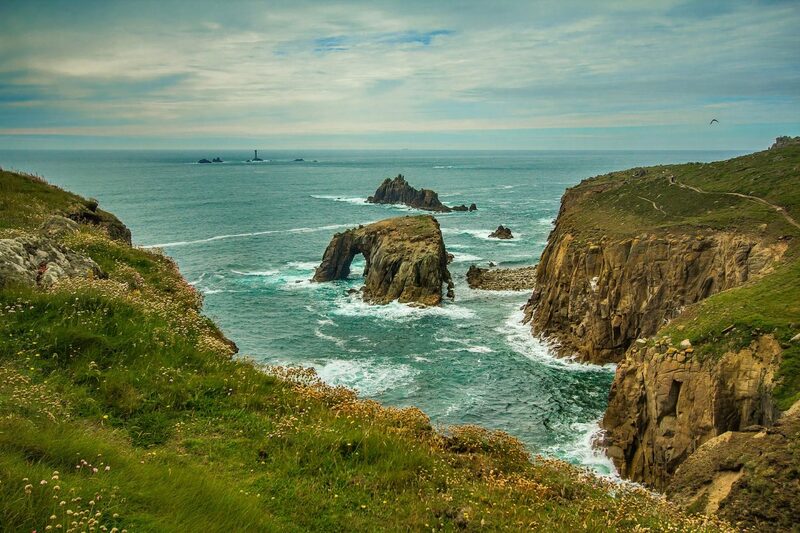 St. Ives, Newquay, Falmouth and Penzance, surrounded by scenic views, if you’re a lover of the sea, Cornwall should be added to your list. 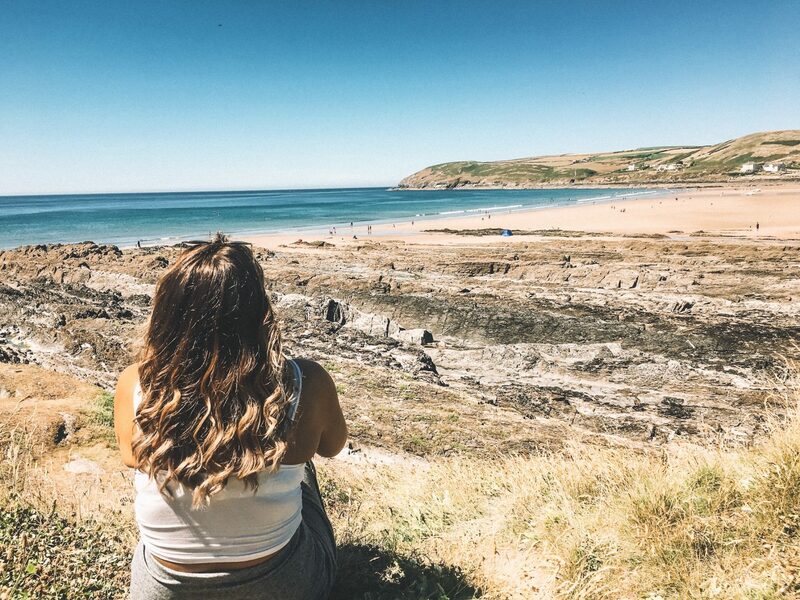 If you fancy combining a festival with a trip, Boardmasters takes place in Newquay every August and if the weather is good, it would be incredible to be surrounded by the sea and good music. The Eden Project and Lands End are also a must as well as Minack Theatre, the open-air theatre overlooking the sea at Penzance. I plan on taking a trip down one weekend this year, most likely to St. Ives! Going up North requires quite a long journey, also known as the gateway to Yorkshire, Leeds another must visit in the UK. Having friends based up near Leeds, we had travel guides for a night out! We headed to The Alchemist with its lush rooftop bar, then to Roxy’s to play beer pong and a few other places. I’d love to go back to visit to explore more in the day time, for another game of beer pong and for another incredible night out! Travelling to Scotland multiple times for work, I used to fly into Edinburgh but only got one evening out there. I had my work Christmas party there and stayed in the center, it looked incredibly festive so I’d love to visit during the festive period! 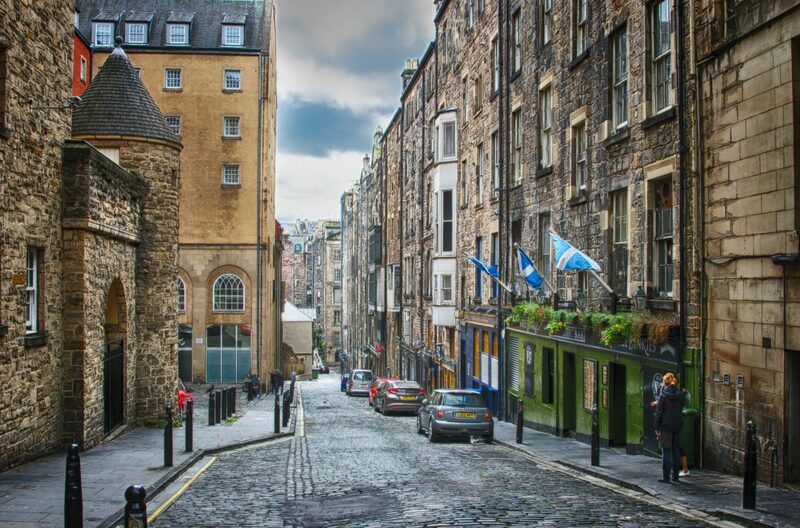 There’s just something about Edinburgh, full of history and the city that inspired the great Harry Potter! Watching the sunset on the roof of the National Museum of Scotland, the underground town and the old town are must sees on a visit, I hope to have a long weekend in Edinburgh this year, flights are quite cheap from Bristol. Oh, I do like to be beside the seaside! Blackpool is a bit like marmite – you either love it or hate it. Known for the pleasure beach, Blackpool has bundles to offer, especially for families. It’s somewhere I’ve always wanted to visit, strolling along the sea front and basking in the cheesiness of it all! I think you’d have to go during the summer months when it’s warm as I’ve only read good things to do when it’s warm. Such as pleasure beach, Blackpool Zoo, Sandcastle Waterpark and Blackpool Pier, most attractions are by the seaside and being by the sea when it’s cold makes you feel even colder! I’ve also heard the nightlife in Blackpool is good, renowned for fab clubs, cute cocktail bars and quaint pubs. It’s meant to be a buzzing city for a night out. Brighton is such a vibrant place, I’ve visited once and would definitely go back as there is so much to do. 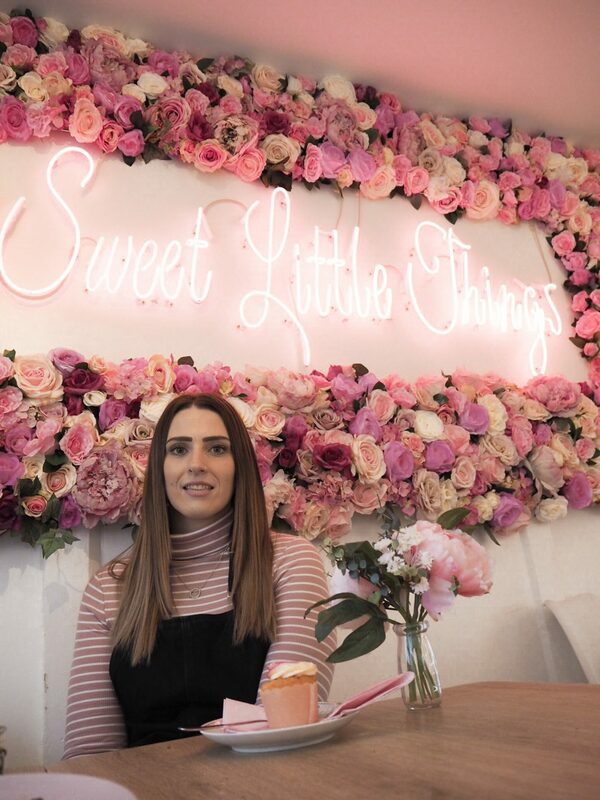 There are so many cute cafes to spend your mornings, including Redroaster which is a botanical haven for brunch and The Flour Pot Bakery which is truly pictureseque! The British Airways i360 gives you an overview of the whole of Brighton, we headed up when the skies were blue and had an incredible view. 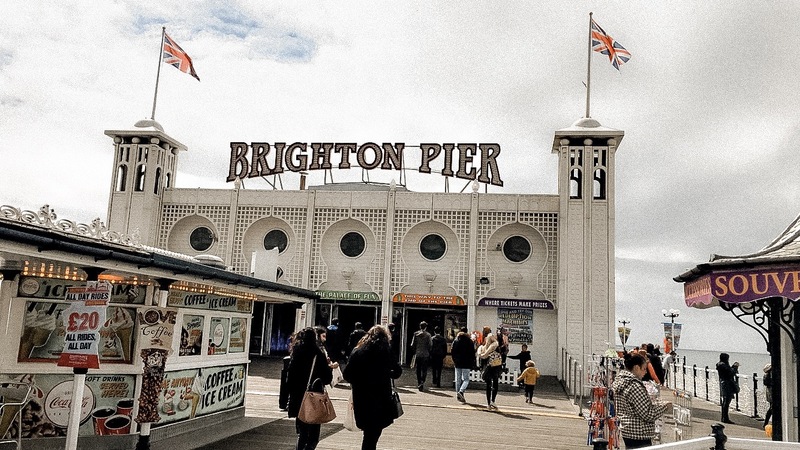 You can wander along the pier along the pebbles, grab your 2p’s and head to the arcade to feel like you’re 10 again! A short drive away from the center wander down to Brighton Marina, have some good seafood and a few cocktails and see a different side of Brighton. There really is something about being by the sea, I grew up and currently reside in Devon but still enjoy heading off to other seaside towns, Bournemouth has also been on my list for a while. From the Lower Gardens, just a stone’s throw away from the center, Freida’s TeaBus which is an afternoon tea running between Bournemouth and Boscombe Piers, wandering down the pier and snapping the ombrè coloured beach huts. Another day another pier, in Bournemouth you can even zip line across the sea and take in the incredible views! Bath is a beautiful place, I used to work just outside of Bath for two years and didn’t explore it enough! The picturesque city has so much to offer, from cute brunch spots to quaint shops. Bath is home to one of the best Christmas markets in the UK, you can read about my festive day out in Bath here. My favourite spots in Bath are Sweet Little Things (because you know I love a floral wall! ), the Roman Baths, Bath Abbey, the Royal Crescent and Royal Victoria Park. I’d like to visit The Bridge Coffee Shop which unfortunately was too busy when we visited Bath last and Tivoli Cinema, whether it is to watch a film or just to sit and take in the incredible décor with a hot chocolate. For some unusually beautiful spots head out to Sham Castle just outside in the centre in Bathampton, paddleboard or row down the River Avon and although it’s around a half an hour journey from Bath, the Somerset Lavender Fields are incredible! Now home to the biggest Primark in the UK! Birmingham has a lot on offer, good nights out, incredible places to visit during the day and good shopping! Spend a day shopping at the Bullring, with so many shops you couldn’t get bored. If it’s sunny either stroll down to the canal or wander through the Botanical Gardens. 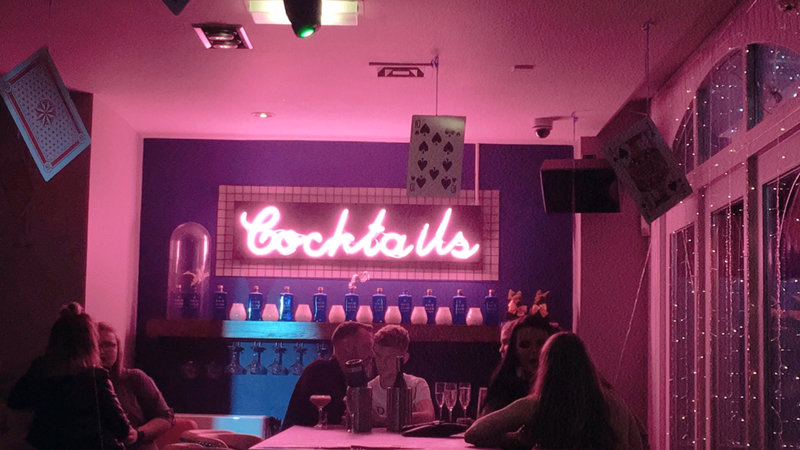 In the evening head to Broad Street or Brindley Place for the best nightlife, especially pop into Dirty Martini and get a picture with the famous wings! This is only a handful of places to visit in the UK, I’ve not wrote about Newcastle, Glasgow, Cardiff and so on! The UK is such an incredible place with so much on offer from vibrant cities to seaside towns, a micro gap should be on everyone’s agenda this year. Which UK place is your favourite? Let me know in the comments below! I see you are still using a Pipdig theme, I wonder if I could ask you why you decided not to change it after they revealed what they have done?